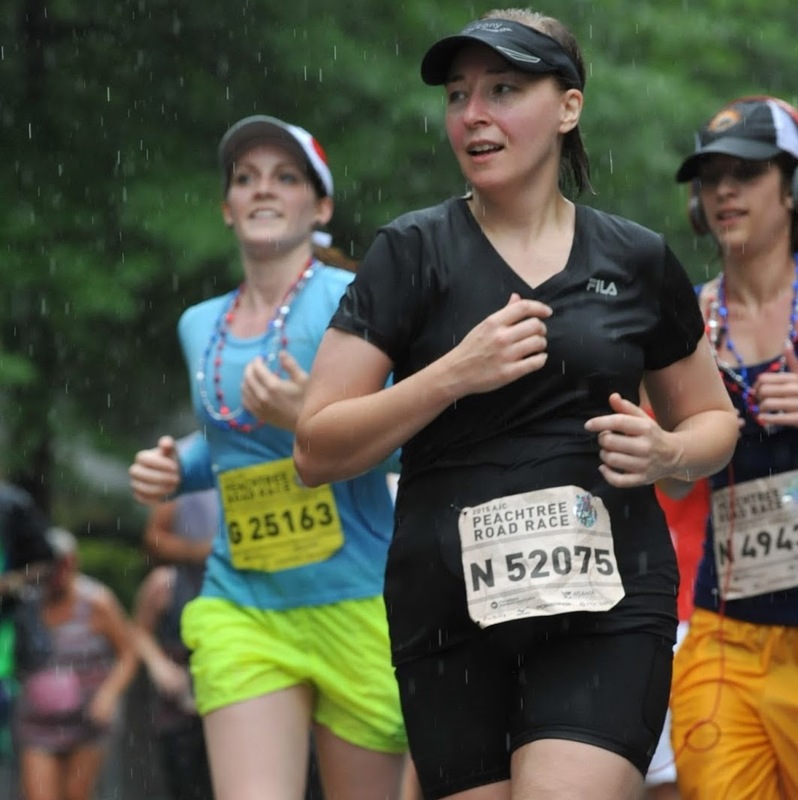 Exploring runners' blogs rocks! They provide inspiration and motivation, and lately, I've been in short supply of those essential elements in my running life. Putting on the dry-fit apparel and lacing up the shoes - those things don't happen without running mojo, and I know of no better place to find that than from other runners. 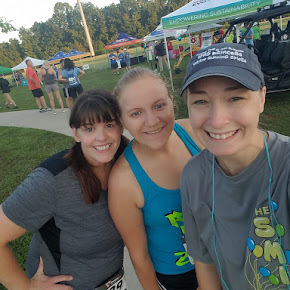 So today, I am linking up with Running on Happy, Crazy Running Girl, and Coach Debbie Runs for their Coaches' Corner. Rachel at Running on Happy wrote a post about "Setting Goals For The New Year," and I was inspired to think about running and 2018. I made two specific running goals for 2018 early on in 2017, and I'm excited to see these ambitions finally realized sooner rather than later. First, I have wanted to run the Hot Chocolate 15K in Atlanta for many years now, and this February, I have signed up to do it. I will get the chocolate bar shaped medal I have coveted for so long! My husband typically runs this 15K and has a few of these rectangular shaped beauties, and every year I would stare longingly at his bling and say, "Next year. That will be mine. I will have one. Next year." And the next year would come, and it would go, and with it, another chance to obtain that treasure lost. But this past summer, I turned 40, and I told myself, "Jamie. Go get what you want. You're 40. The time is now." 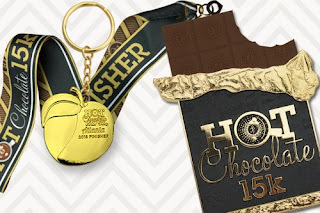 So, February 4, 2018, I WILL have my chocolate bar shaped medal! Another something I have always wanted will also happen in February 2018. I am going to run my first Walt Disney World race! Another AWESOME medal! Whoo hooo!!! 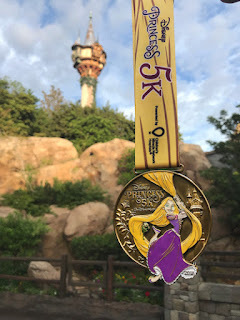 I have signed up to run the Disney Princess 5K with some of my favorite running buddies. I'm so very excited about this running goal! I mean, Disney, princesses, and running?! It's going to be a dream weekend! Beyond those two races, I'm not sure what more I want to do with running in 2018. I know I want to run - much more than I managed to do in 2017. And I'm loving a new running date I've established with my BFF on Saturday mornings, so that will certainly help. So I guess the third and final running goal I have is - just keep running. Truly though, I am super excited about finally tackling those two races for two reasons. First, I've been wanting to run those races for years now. And second, they are opportunities to do something for ME. Because while I've - for sure - neglected literal running in 2017, my metaphorical running has suffered as well. Interesting how the two seem linked, yes? But that's for another post. I've obviously got some literal running goals mapped out, so I've also come up with one goal to help me run the race of life better. One simple initiative. Every day, I must do something for ME. I must take at least one action in an effort to take care of myself. I must complete one activity that will put a smile on MY face. And Momma could be happier. But Momma's been tired. Consumed with running around taking care of everyone else. So, there you have it. My literal and metaphorical running goals for 2018. What about you? What do you want to do? What do you NEED to do? If I may offer some advice, borrowed from a great brand of running shoes, JUST DO IT! And let's cheer each other on in 2018! Join my Facebook page for more encouragement as we run the race before us.